It's always nice to see this. 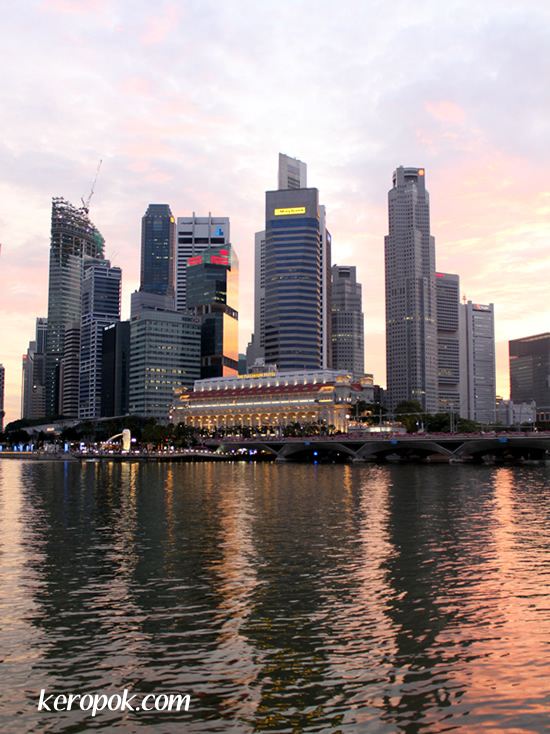 I was at the Esplanade Theatres on the Bay and took a photo of the Financial district. On some flights to Singapore, the plane makes a big turn around before descending on Changi Airport. You can see this view too! You can recognise these buildings from the sky. Of course, it's not from this angle! If only the whole day looks so beautiful.